My wife and I have decided we're going to part ways with our 1998 Honda Civic EX. It's been a great vehicle for us, but we're looking to get something all-wheel drive/four-wheel drive that is better suited to getting us up to Mt. Hood for skiing and to get around the Pacific Northwest during times of inclement weather. 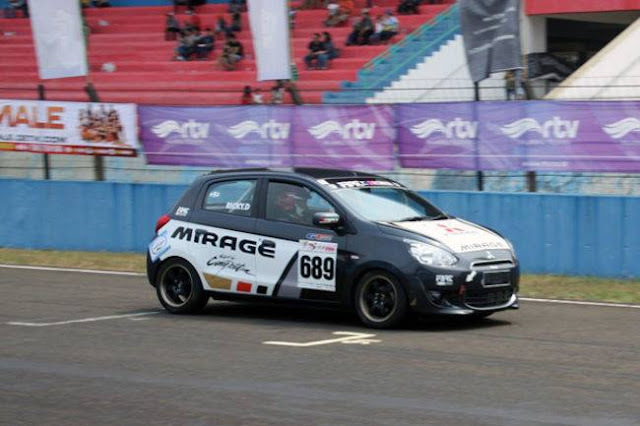 We're obviously hanging onto the Yaris, which my wife is now driving since she commutes to work. I, luckily, work out of my home. Anyway, I'd love to get something small, relatively fuel efficient, and AWD. It has to have a manual transmission, too. 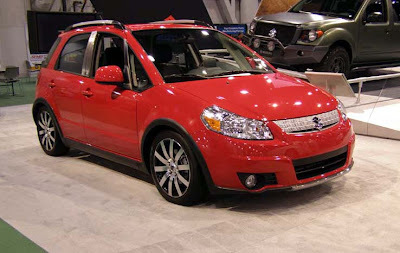 If I could afford a new car, I'd pick up a Suzuki SX4, and that'd be that. However, we're looking for something used and cheap (under $10,000, and probably more like $8,500). So, we're looking at choices like a used Toyota RAV4, a used Honda CR-V, or possibly a Subaru Impreza. It dawned on me that there are not (and have not been) many choices for AWD subcompact cars in the U.S. Suzuki offers the SX4 and that's it for new cars. As far as used cars, again, Suzuki offered the Aerio in AWD, but it only came with an automatic, so that takes it off my list. You have to go further back to vehicles like the 1992-1996 Mitsubishi Expo/Plymouth Colt Vista/Eagle Summit Wagon or the venerable Subaru Justy if you want a small AWD car. I suppose you could count the first-generation Suzuki Sidekick/Chevrolet Tracker, too, at least the two-door models. In other parts of the world, particularly Japan, there are a plethora of small, AWD vehicles. Heck, it seems like just about every model is offered with AWD. Perhaps companies think that the U.S. has a hard enough time swallowing small cars, let along AWD small cars. By the way, anyone want to buy a Civic? 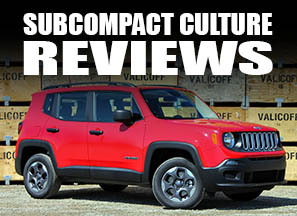 Hear, Hear on the AWD Subcompacts. I'd love to see a AWD Yaris or to see Subaru release a AWD Justy for the new millennium. I agree! I know the Yaris is available with AWD, but it's a 1.3 liter engine, which I'm sure few in the U.S. would want. I drive in snow a lot, but would take a limited-slip diff over AWD for reasons of weight, cost and space-efficiency.